Social communication. 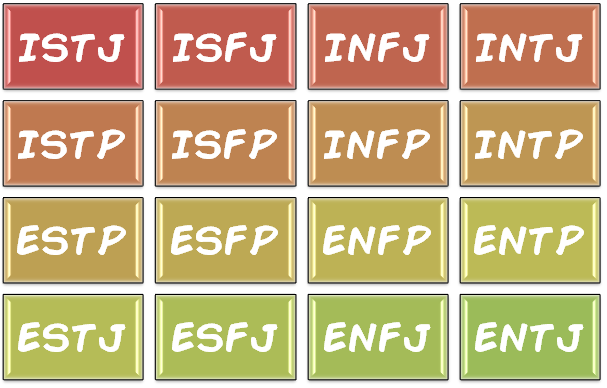 This is to do with language, for example we have problems understanding: jokes and sarcasm, social niceties (small talk), metaphors and analogies, and body language. Social interaction. Social and emotional difficulties mean it’s hard for us to make friends and work co-operatively. Social imagination. There is a difference between imagination and social imagination. We have difficulty with social imagination, which is flexibility of thought. This presents itself as a need for routine and a desire for things to stay the same. We have trouble coping with change and can be very rigid. Our imagination however, can be fantastic, and lots of us are highly creative. Now here is where it gets confusing! Assuming that everyone with autism will behave the same is unhelpful and fails to recognise that autism exists on a spectrum. 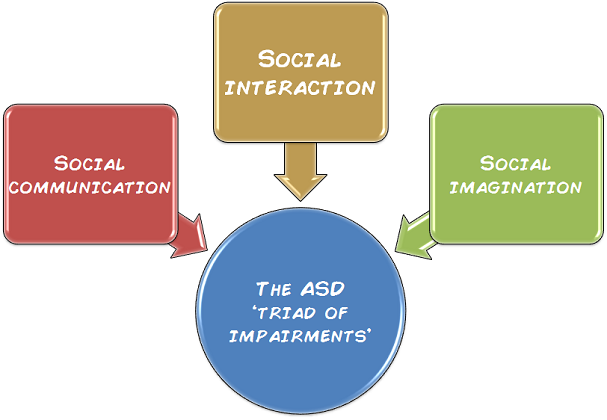 This means that, although we all have the three impairments listed above, the collection, symptoms and severity of them can vary so greatly that every person will be unique in their needs – just like people without autism. I will try to explain what I mean using diagrams. 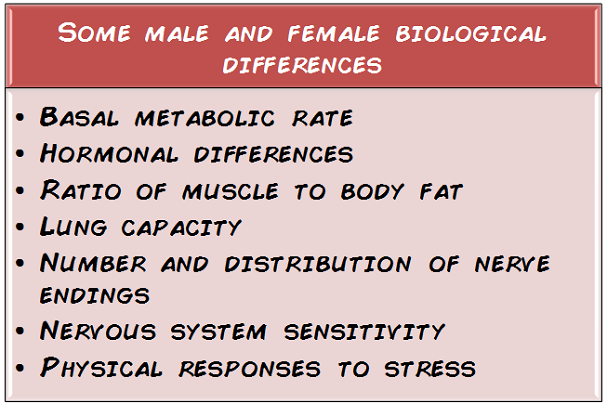 surely these biological differences play a huge part in the way men and women behave? After this, we have that nature/nurture argument. 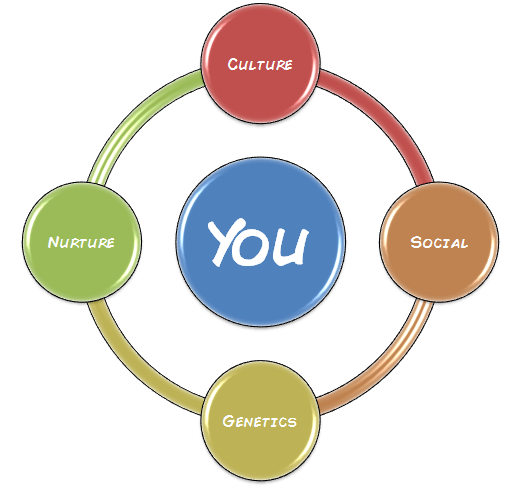 How much influence does an individual’s nurture background have on who they are today? And there are probably endless other factors that determine why one person is different to another. 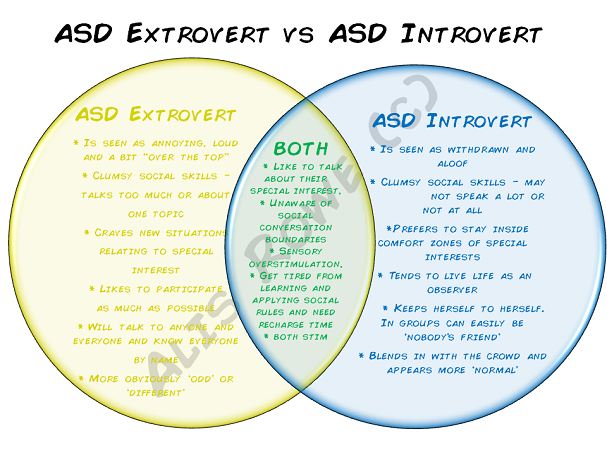 I hope this infographic explains a little why two people on the spectrum are just as unique as two neurotypicals.